FAQ - Invest West Management, LLC. A management company is contracted by the Board of Directors to provide such services as: Collection of assessments, supervision of subcontractors, obtaining bids for subcontracted services, providing financial statements and collection reports, as well as a general clearing house for problem solving, communications with homeowners and the Board of Directors and to serve in an adviser capacity. The management company reports directly to the Board and all decisions are made by a majority vote of the Board of Directors. The management company may be reached online through the Management Office page on this website or by phone from the numbers listed on the Contact Us page on this site. It is a non-profit corporation registered with the State and managed by a duly elected Board of Directors. Its purpose is to maintain all common areas and to govern the community in accordance with the provision of the legal documents: CC&Rs, Bylaws, and Articles of Incorporation. The governing legal documents for the association may be viewed online within the Resource Center page of this site. 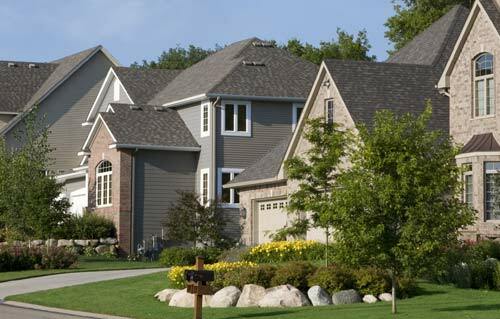 The corporation is financially supported by all members of the homeowners association. Membership is both automatic and mandatory. The Covenants, Conditions and Restrictions (CC&Rs) are the governing legal documents that set up the guidelines for the operation of the planned community as a non-profit corporation. The CC&Rs were recorded by the County recorder's office of the County in which the property is located and are included in the title to your property. Failure to abide by the CC&Rs may result in a fine to a homeowner by the Association. The governing legal documents for the association may be viewed online within the Resource Center page of this site. The Homeowner's Association again is a corporation and therefore a governing body that is required to oversee its business. The Board of Directors is elected by the homeowners, or as otherwise specified in the bylaws. The limitations and restrictions of the powers of the Board of Directors is outlined in the Association governing documents found within the Resource Center page of this site. Most associations have developed Rules and Regulations as provided for in the CC&Rs and adopted by the Board of Directors. Rules are established to provide direction to the homeowners for common courtesies with regard to parking, vehicles, pets and pool use hours, etc. In addition, your Association will adopt Architectural Guidelines with procedures for submitting requests to make exterior changes to your home. Such changes may include patio covers, decks, landscaping, exterior color changes or extensive interior changes and additions. These rules and guidelines are set up to maintain the aesthetic value and integrity of the community on behalf of all owners, and hopefully protect the market value of your investment as well. Violations of these rules may result in action by the Board of Directors and a fine. In addition, if you proceed with an exterior improvement or change, without written approval of the Board of Directors, or Architectural Committee, as applicable, you will be required to remove or correct the alteration and/or be fined for the violation. For more information about this topic visit the Resource Center page of this site. Yes. Notice of the time and place of any regular board meeting will be noted in the community newsletter, or accessed online on the Calendar page. If I want to serve on a committee, how do I find out what committees are active and how I can get involved? The Contact Us page of this website will inform you of the status of current committees organized and committee contact information. If you are interested in volunteering, please contact the committee chair or fill out the online volunteer form found on the Management Office page of this site. The assessment is the periodic amount due from each homeowner to cover the operating expenses of the common area and provide for reserve funds for replacement of common facilities in future years. Your assessments are due on the first of the month. Statements will be sent for assessments as a reminder of the amount due. The Department of Real Estate typically requires an initial budget from the developer for each community that a developer proposes to build. This budget is set upon specific guidelines for utilities, landscaping, administration, etc. Reserve funds are monies set aside for future expenses due to the life expectancy of certain items: lighting, street resurfacing, pool equipment, etc. These amounts are then divided by the number of units built in a given phase of the development. Subsequent budgets are developed by the Board of Directors and adjusted periodically to meet anticipated expenses. Will my assessment go up? There is no concrete answer to this. Typically the Governing Documents provide for annual increases. The Board of Directors may approve an increased budget, increasing your assessment in order to cover increased costs of operating and maintaining the common area and sufficient reserve funds. The maintenance and management services incurred by the Association are dependent upon timely receipt of the assessments due from each homeowner. Late payments will result in a late charge as assessments are due on the first of the month. In addition, the CC&Rs allows the Association to charge late charges and interest and proceed with a lien on your property, or foreclosure proceeding for nonpayment of assessments.